See what you find by looking at the ground? 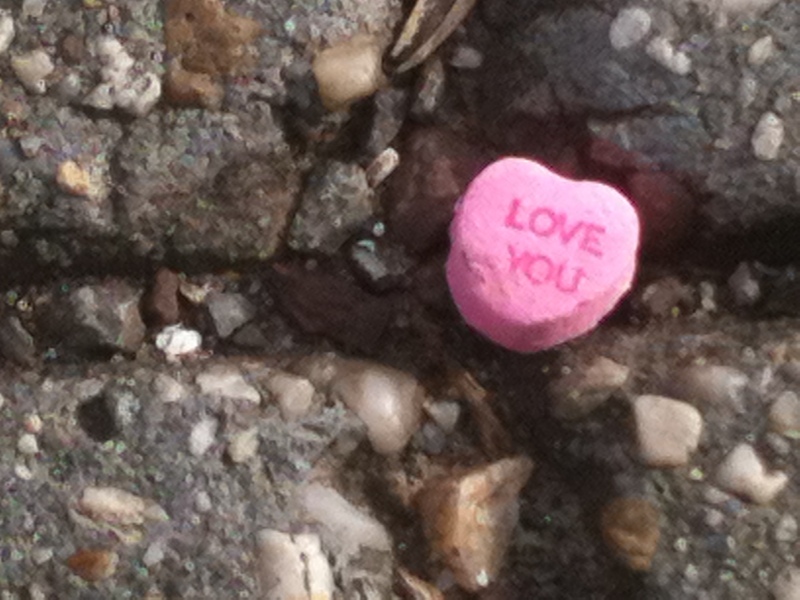 A spilled box of candy becomes a valentine! It started with a green bottle. We’d be driving along and my mother would suddenly order my dad to pull over to the side of the road so she could pick up a discarded bottle. We were and are a family in which treasures are often found in other people’s cast-offs. I love estate sales, ancient books and magazines, the debris at construction sites–and I love what those bits and pieces can turn into. It’s not just old stuff, however. I’m a lawyer by training, and I love well-crafted arguments, but few people see the beauty that can be found therein. I like juxtaposing words and ideas, repurposing them and turning them into collage that tells a new story. So, who knows where I will go with this blog. it will mostly be about trying to make art on the side–combining the need to create with the need to make my living, raise a family, and be a productive member of society. Join me and let’s see how the journey unfolds.